Aromatherapy supports pregnancy, birth and postpartum in a subtile and effective way. It is valuable assistant in working towards to a safe and low intervention birth experience. However, there is lots of information about essential oils available on the internet and much of it is written or published without safety guidelines. Yes, like all certified aromatherapists, I have my brand preferences but today we will be focusing on essential oil safety. When it comes essential oil safety, I always advise erring on the side of caution. Make sure you follow all safety protocols. This is especially important when working with pregnancy, birth and postpartum. Read the Labels. Make sure what you are buying is an actual essential oil. Read the label. The ingredients should say for example‐ Sweet Orange Essential Oil‐ (Citrus sinensis). Nothing more. Sometimes an essential oil in a store may contain a carrier oil that should also be clearly marked with the oils name. Sometimes oils are thinned with other oils, water or vegetable oil. So it’s important to make sure you purchase reputable oils. If you are buying a pure essential oil then, that is all the product should contain. I know this may seem obvious but there is a history of adulteration in the industry. Many reputable suppliers exist and with a little research you can find a supplier that will work for you. Proper Use. Make sure you, as the user, are correctly use essential oils. Do not ingest, or apply neat especially during pregnancy. Although injection is popular and recommended by many essential oil companies, it is not considered a safe practice. Ingestion can cause harm to the unborn child. Neat application can cause a myriad of issues to the mother as well. Avoiding using any oil neat is a great rule to follow. I have been utilizing essential oils for over 25 years, and I avoid applying essential oils neat, even “safe onesʺ. I am never sure how the oil will act or react to any person at any time or even myself at any given time, so I always employ proper use guidelines. When you use any essential oil, you must research each oil in reference to it working for you, your health and your wellbeing. Allergies and Sensitization. Some oils over time can cause sensitization or allergic reaction. So making sure you never use undiluted oil and alternating the oils you use can help in preventing that. If an allergic reaction occurs, remove the oil the best you can. Milk or vegetable oil can assist with that. The essential oil bonds to the fat in the milk or oil. You can then shower to assist in further removal. If it is a small area exposed, you can first make a compress by soaking a washcloth or paper towel in oil or milk and applying to the affected area followed by a bath or shower to assist with removing the oil and soothing the overexposed skin and essential oil. I always suggest clients’ patch testing before using any oil. Simple Patch Test Instructions. Apply 1‐2 drops of the diluted essential oil to the crease of your elbow, then cover the area or keep it dry for 24 hours. If a reactiooccurs, then this oil may not be the one for you. Remember that even if the oil does not cause a reaction for you it may for someone else. Irritation. Irritation, this would be localized to the areas where the product has been applied. It can be a rash, red mark, or itching and burning. Phytotoxicity. Phototoxicity is a light‐induced reaction to a photoactive essential oil. This mans that a reaction is possible if not probable when in contact with certain oils and being exposed to UV light. Many citrus oils will cause a skin burn where applied if exposed to sunlight. This reaction can be immediate or it can happen 6-12 hours after application of the oil. Sensitization. Sensitization is an allergic reaction that shows up in places other than where the oil was applied. This can occur even if you have used an oil or product for years. Sensitization is an allergic reaction that triggers a histamine or allergic reaction of the immune system. It can occur at the first exposure or months later. With subsequent use of the oil an inflammatory reaction will occur. It occurs upon first exposure but may be so slight it is unnoticeable. With subsequent use of the oil, an inflammatory reaction will occur. The severity of the reaction can seem out of proportion to the amount of oil being used. Rash with inflammation, heat or weeping skin. Sensitizations can occur with any essential oil. General feeling of unwell, or aversion to the oil. Cross-sensitization. Keep in mind that each essential oils is a complex mix of many different chemical constituents. Usually the ‘whole’ essential oil is not what one becomes sensitized to but rather one or more of its chemical constituents. The sensitization is to the constituents and not necessarily the single oil itself, but the ingredients inside. How to Avoid Sensitization Reactions. When an oil is high in aldehydes and phenols they are more likely to cause sensitization. Use caution with these oils. Avoid using oils that are too old and oxidized. If someone already knows they are sensitive to certain aromas, essential oils, avoid using them. Sensitization can be localized, generalized and even systemic. Generally it needs more than one exposure to the insulting substance for the reaction to be produced. Generally only a small percentage of sensitizations occur. Statistically women are more likely to have reactions and sensitizations then men, and pregnant women even more so. A substance can be non‐sensitizing initially, but it can become sensitizing. The constituent geraniol is widely used in the cosmetic and fragrance industry, giving a wide exposure in those world. 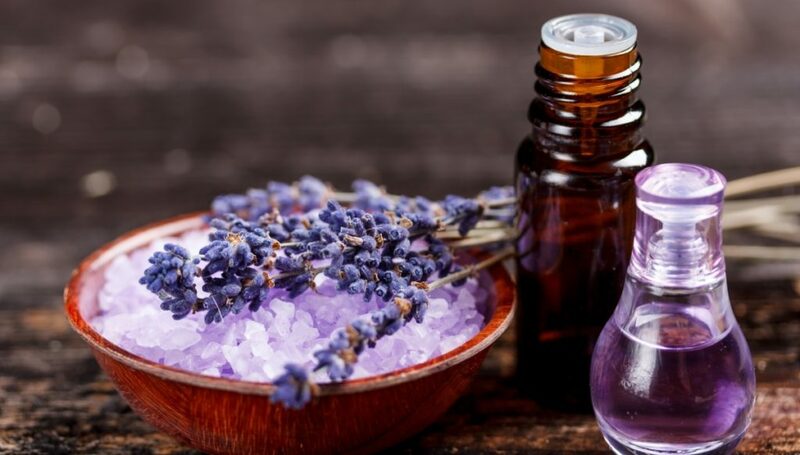 Thus, it is possible that people can become sensitized to geraniol and this can mean a reaction to lavender in products. Check out our schedule of events for the next time we will be offering out essential oil workshops. These classes will be taught y Ursula Sabia Sukinik, A certified aromatherapist who has a passion for all things birth related.